New site updates since the June 28, 2014 update. This is both a major and a minor update. Minor in the sense that there haven't been any changes to end-user functionality, but major in the sense that a lot of work went into the back-end this month. Yesterday one of my photos from the "Belle Epoche" shoot with Gabrielle for Art of Adornment was the social media feature of Gothic Beauty. Post by Gothic Beauty Magazine. digital photograph, digially manipulated photograph, photograph. OK, time to step back from this meme lunacy, and get back to my usual photography and artwork.. I did a shoot with Gaby dB. yesterday for Elaine's store. 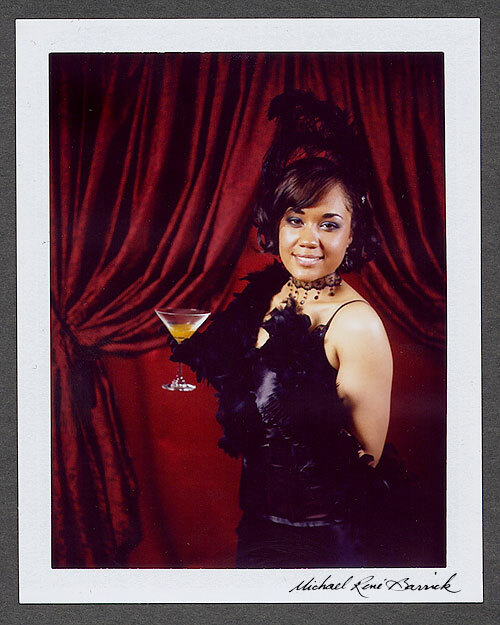 During the shoot, for fun, I also made a few images with my circa 1971-76 Model 440 Polaroid Land Camera. The signatures on these images has been added with Photoshop, otherwise these are just scanned, straightened, and resized.